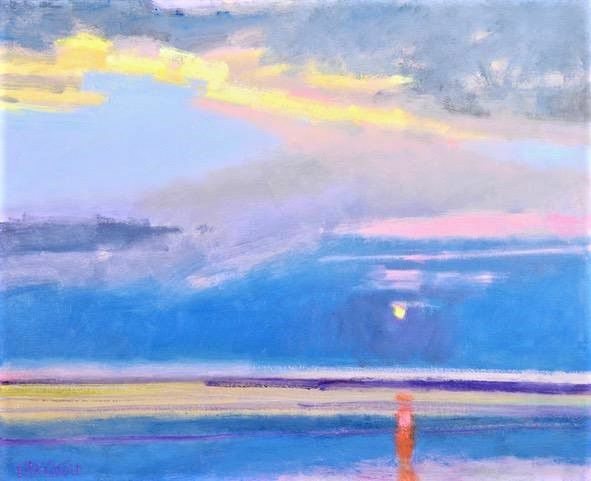 Rodger Bechtold's "Sunset" oil painting is among the works that will be displayed at Thomas Deans Fine Art's exhibitions featuring art by Bechtold, Leisa Rich and Chris Liberti. Leisa Rich's "Aftermath" is among the works that will be displayed at Thomas Deans Fine Art's exhibitions featuring art by Rich, Rodger Bechtold and Chris Liberti. Chris Liberti's "Recycled Landscape" painting is among the works that will be displayed at Thomas Deans Fine Art's exhibitions featuring art by Liberti, Rodger Bechtold and Leisa Rich. 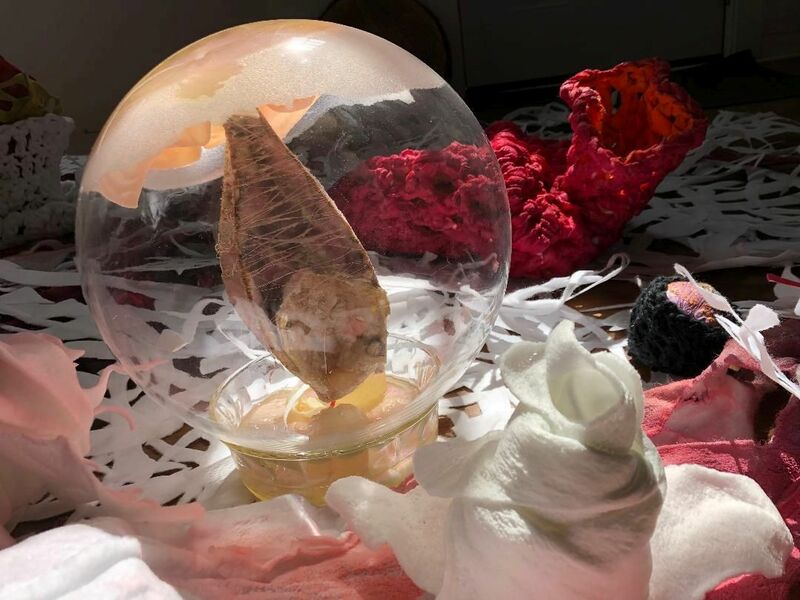 Thomas Deans Fine Art, 690 Miami Circle NW, Suite 905 in Buckhead, will host two exhibitions - "Found Objects," paintings by Rodger Bechtold and Chris Liberti" and "Aftermath: In the Pink," an immersive installation by Leisa Rich - April 26 through May 29. An opening reception for the artists is set for April 26 from 6 to 8 p.m. In "Found Objects" two artists create a dialog in paint as the gallery features the first exhibition in Atlanta by Bechtold, one of the Midwest’s preeminent landscape painters, and Liberti, the multi-faceted Charlotte-based landscape, still-life and abstract painter. Both artists are masters of paint and color. In a contrasting exhibition, Rich has responded to a recent health challenge by creating several works that magically transform Thomas Deans Fine Art’s newest gallery space in "Aftermath: In the Pink." The show includes a massive, immersive installation that envelops the viewer by utilizing floor, wall and ceiling, wall-hung works of scar-stitched fabrics and zippered openings, stunning embroidered gardens, assemblages, a 3D-printed chrysalis and free motion-machine butterflies and circular panels of paint and floral fabric, among others elements. The predominant use of white and pink reflect of the innocence and helplessness Rich felt while going through something of this magnitude, a death reckoning and subsequent rebirth as she overcame this major life-changing experience, and the hope that is inherently human as she goes forward and continues to heal. Rich is well known in Atlanta for her wildly inventive and at time challenging installations using a multitude of media, as well as for her intricately beautiful fiber art. For more information, call 404-814-1811 or visit www.thomasdeansfineart.com.